Victoria Earle Smith was an accomplished journalist, author, lecturer, clubwoman, social worker, and missionary. She was born on May 27, 1861 in Fort Valley, Georgia, to Caroline Smith, a slave, and a man who was believed to be the family’s master. Caroline fled the plantation at the start of the Civil War, but returned after emancipation and regained custody of Victoria and her sister. The family eventually moved to New York City, where Victoria excelled in public school until financial and family conditions made it necessary for her to quit and go into domestic service. Victoria continued her education by using the library of her employer, special studies and other opportunities to improve herself. When she was 18 years old she married William Matthews and they had one son, Lamartine. Victoria Matthews began her journalistic career shortly afterwards, working as a reporter for three New York newspapers, the Times, Herald and Sunday Mercury, and African American newspapers such as the Boston Advocate and the New York Globe. Her writing and community service were designed to find ways to help African Americans exchange their inner anguish, a possible result of slavery, into outward accomplishments in literary and civic areas. In the novel, Aunt Lindy (1893), Matthews described a protagonist who was persuaded not to murder her cruel former master and instead to help him heal from his own pain. In doing so she also healed her own contaminated soul. In “The Value of Race Literature” (1895), she supported the importance of collecting the writings by and about African American women and men. She was also noted for her effective lectures such as, “The Awakening of the Afro-American Woman”. In civic areas, Mrs. Matthews founded the Woman’s Loyal Union in 1892. She was also one of the leaders in supporting the antilynching crusade of Ida B. Wells. In 1895 Matthews helped found the National Federation of Afro-American Women and was later instrumental when this organization and the National Colored Women’s League merged with the National Association of Colored Women (1896). She served as the first national organizer of the combined group from 1897 to 1899. The death of her son at sixteen sent Matthews into deep mourning. But she turned her grief into a vigilant social welfare organization for boys and girls. In 1897 she established the White Rose Industrial Association in New York City. The Association provided a home for girls and young single women while instructing them in domestic skills. Several women of note assisted Matthews at the home including Alice Ruth Moore Dunbar-Nelson and Hallie Q. Brown. 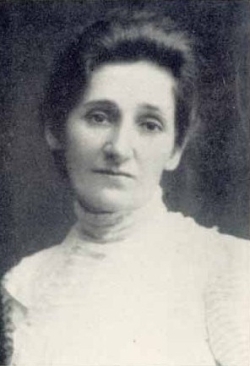 Victoria Earle Matthews died in New York City in 1907. Hallie Q. Brown, Homespun Heroines and Other Women of Distinction (Xenia, Ohio: Aldine Publishing Company, 1926); Floris Barnett Cash, “Victoria Earle Matthews,” Notable Black American Women (Detroit: Gale Research, 1992); http://www.africanamericans.com/VictoriaMatthews.htm .